What do we cook for dinner tonight? Do not worry about it! 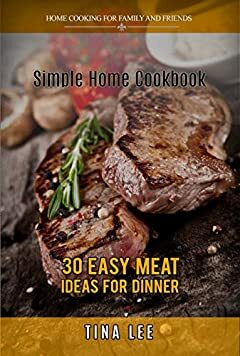 30 simple and tasty meat recipes that can be prepared in just 30 to 40 minutes or less will help you solve this problem. All recipes are adapted for Instant Pot but can be prepared in the usual way. Therefore, the book is suitable for anyone who wants to prepare a simple and tasty dinner for yourself or your family.